It takes a lot of work to receive a Gold Star Community Award and the Villas of Lamplighter Village has done it twice: first in 2015 and renewed in 2018! 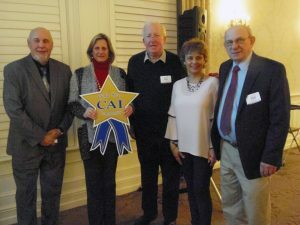 The Gold Star Community Award, presented by the Pennsylvania and Delaware Valley Chapter of the Community Associations Institute (CAI), demonstrates that the community uses the best practices of the industry, maintains the community’s financial health, improves resident quality of life and protects property values at the highest standard. Recently, CAI featured the Villas of Lamplighter Village in its magazine, Community Assets. Click Here to read the article online to find out more about this outstanding community located in Bucks County, PA.
Posted April 2, 2019 & filed under News.